WarmCore windows and doors have been installed on one of George Clarke’s Old House, New Home projects, aired on Channel 4 in August. 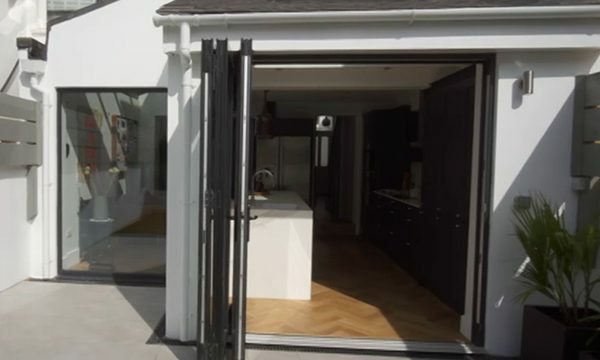 The third episode of the series featured period properties in Wales and Hove, where the WarmCore bi-folding door and full height windows were installed in a renovated kitchen by The Window Workshop, working with Empire Construction Group. The homeowners had been granted planning permission to extend the small kitchen at the rear of the period property, but not to add the full wrap around extension that they had hoped for. This gave them an L-shaped room which they needed to convert into a kitchen, dining and relaxation space. With two large WarmCore windows, a WarmCore bi-fold and Global roof, they have created a space which connects the kitchen and garden while maximising the space and light available. In addition, the homeowners opted for an anthracite grey interior finish, streamlining the grey accents which feature throughout the rest of the kitchen space to seamlessly blend the old with the new. Daniel Revell from The Window Workshop, said: “It was by chance that we got involved in the project. 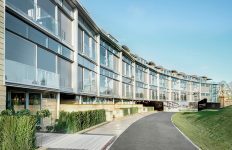 We do a lot of work with Empire Construction Group who happened to be working around the corner from the production company’s HQ in Brighton. 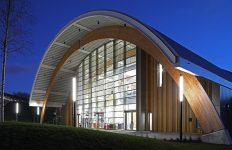 “One of the George Clarke team poked their head over a fence and asked if they had any interesting projects coming up – it just so happened that they had been let down last minute for another project and had a gap to fill, so Marcus and the team from Empire Construction were more than happy to help out. 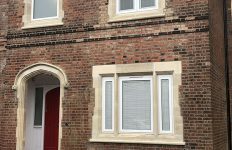 “We installed a three-pane WarmCore bi-fold door and two full-height windows along with a glazed Global lean-to roof with a front box gutter in a modern anthracite grey finish. “We have been using WarmCore for around four years now. With its crisp, stylish aesthetics, it’s been a real winner for us. 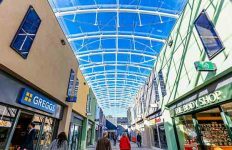 Its thermal properties due to the hybrid PVC-U and aluminium construction are a big plus, and the dual colour flexibility and choice of profiling styles gives our customers a real choice and food for thought which other systems just don’t offer.